Wild Troll Caught King Salmon Belly…fattiest part of the fish! 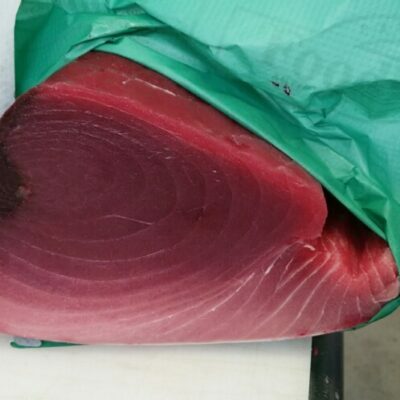 Seared, sautéed or sashimi these are unbeatable! I got a bag each of crab, slice of salmon and salmon belly from your stand at The Fountains on July 10. They were delicious and fresh. I was surprised though that the belly slices were not whole strips (tip to tip); rather they were cuts with fins on (but mind you those fins were great too) . Can we have them the way they’re pictured in this page? Hi Maria. That must have been a new fillet person, as our belly portions are supposed to have the fins removed…glad enjoyed them!